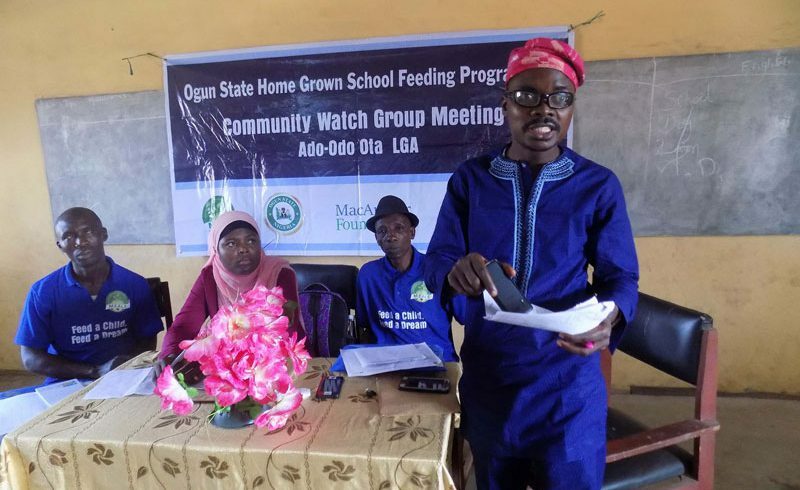 To ensure community participation and ownership on the Ogun State Home Grown School Feeding Programme (HGSFP), the capacities of members of Parents Teachers Association/School-Based Management Committee (PTA/SBMC) across the 60 schools being monitored were built to conduct monitoring activities in their respective schools, promote awareness on the HGSFP, as well as demand for accountability on the HGSFP. 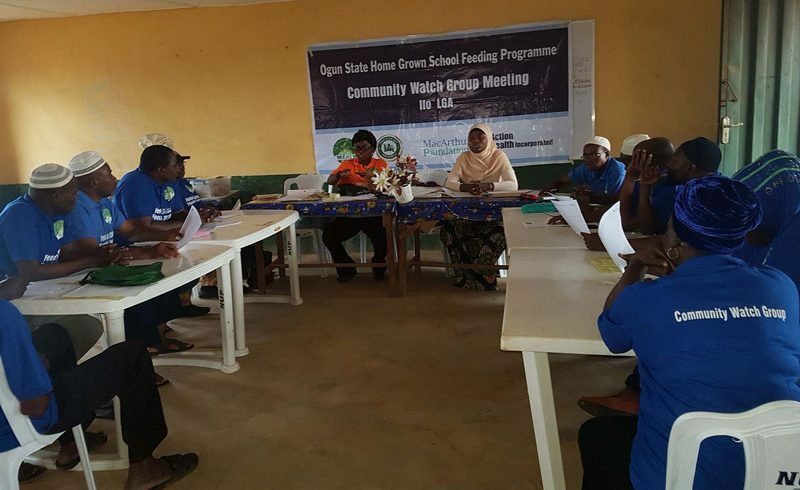 Trained PTA/SBMC Members and the Local Government Focal Person on HGSFP constitute the Community Watch Groups in each of the 4 project LGAs (Ifo, Sagamu, Ado Odo Ota and Ijebu Ode). 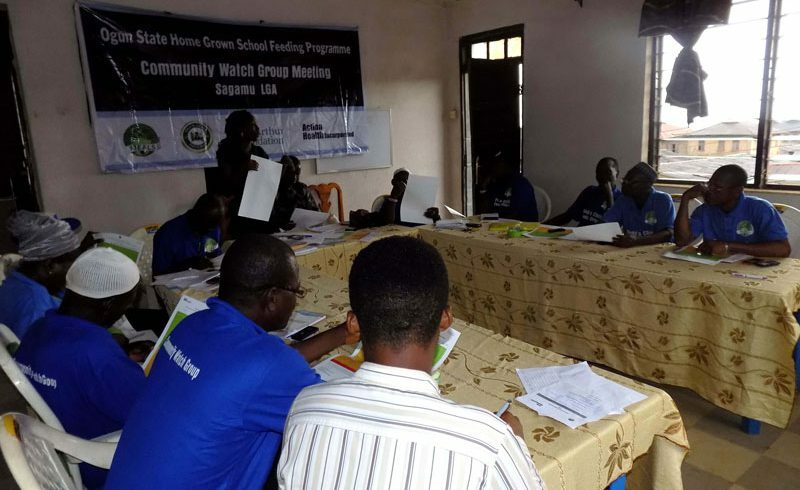 In January 2019, Community Watch Group Meetings were held to review the monitoring activities conducted in the previous year, as well as propose recommendations to strengthen school level programme delivery. 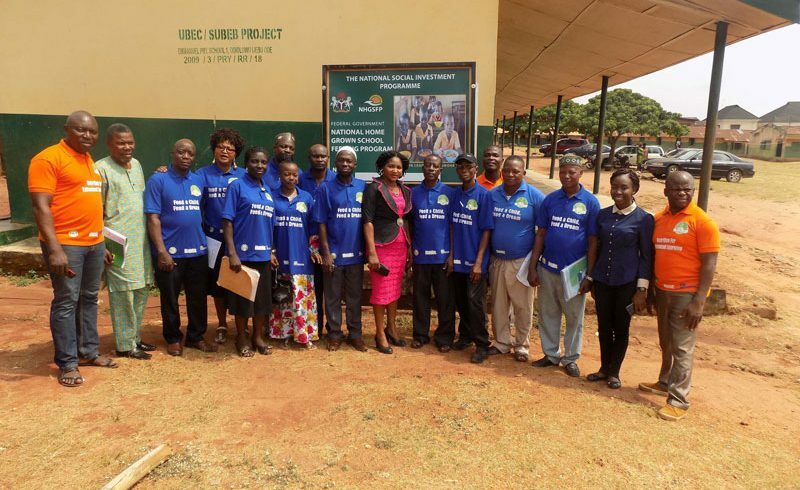 Also, refresher training was conducted on the use of designed monitoring tools as well as review of scorecard from analysis of the HGSFP monitoring in the previous school term (September – December 2018). 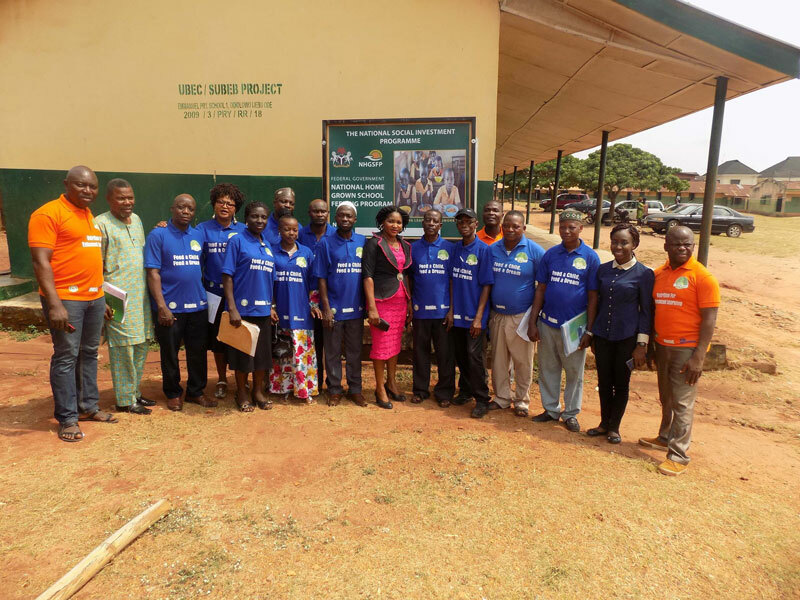 The Score Card gave the CWG members opportunity to assess the status of programme delivery in their respective schools as well as areas that need improvement. The meetings ended with CWG Members resolve to strengthen the HGSFP delivery in their respective schools.